It had just opened for a few days, and they are on a soft opening basis but as we tried it out, everything is already in place and a lot of people were dining when we came. The interiors were great, I really like the lighting especially the candelabra at the main spread but the place was a bit cramped. They could have arranged it to have wider spaces where the eyes can rest but were probably limited by the floor space and of course the exorbitant rental rates at BGC. Overall, the interiors were beautiful and it really fits the bill of the tag they ascribed to it “PRIME”. So I asked our attendant what the difference is between the other Yakimix branches and this one, she said that they were serving better ingredients and that the Wagyu beef for the grille is unlimited. So we had to order one to try how the PRIME selection tasted. Now, this was a treat. It really was that good. This is actually my first time to try grilled Wagyu beef, my second encounter with Wagyu (the first, courtesy of Malcolm’s uber delectable Wagyu beef burger) and it really is worlds apart from the ordinary run-of-the-mill beef. 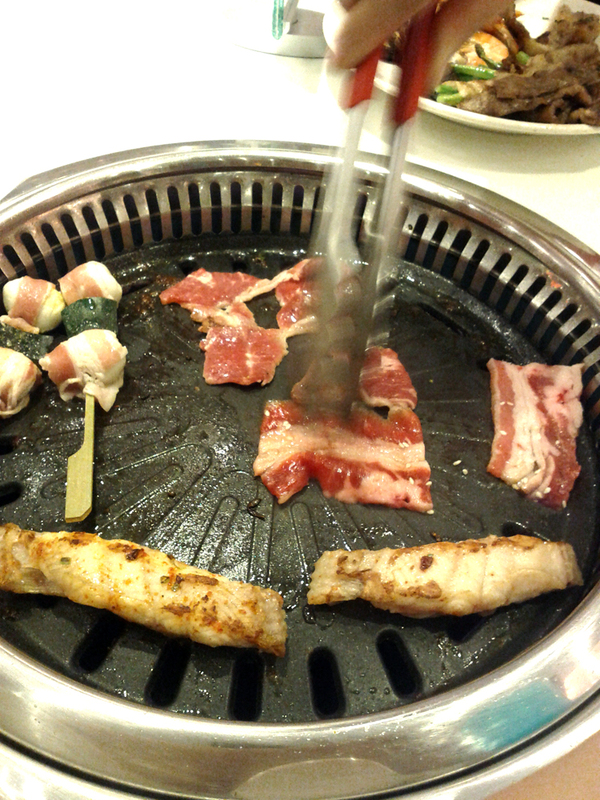 To say that it was marbling is an understatement, the way it melted in your mouth is WOW! 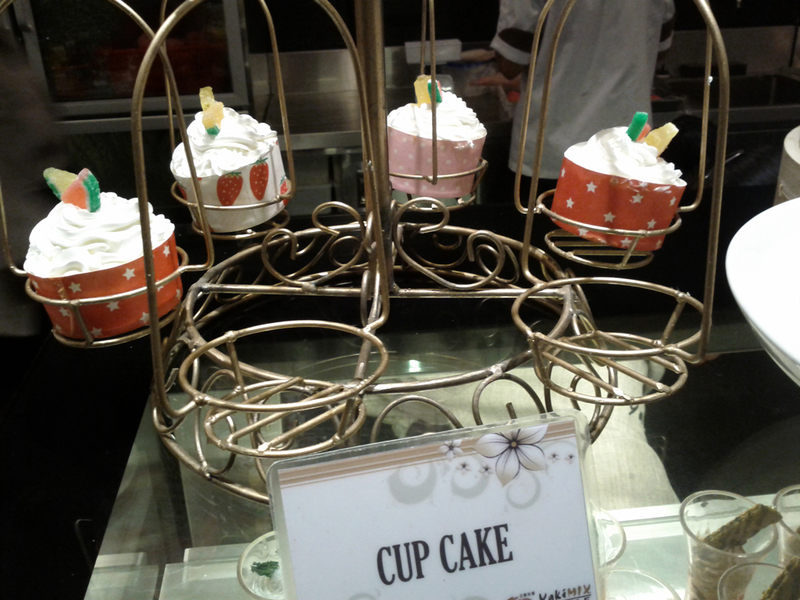 Nothing short of extraordinary, so this is a MUST TRY for those who will drop by the buffet restaurant. We didn’t put anymore seasonings on it we just ate it as it is and we were HAPPY! 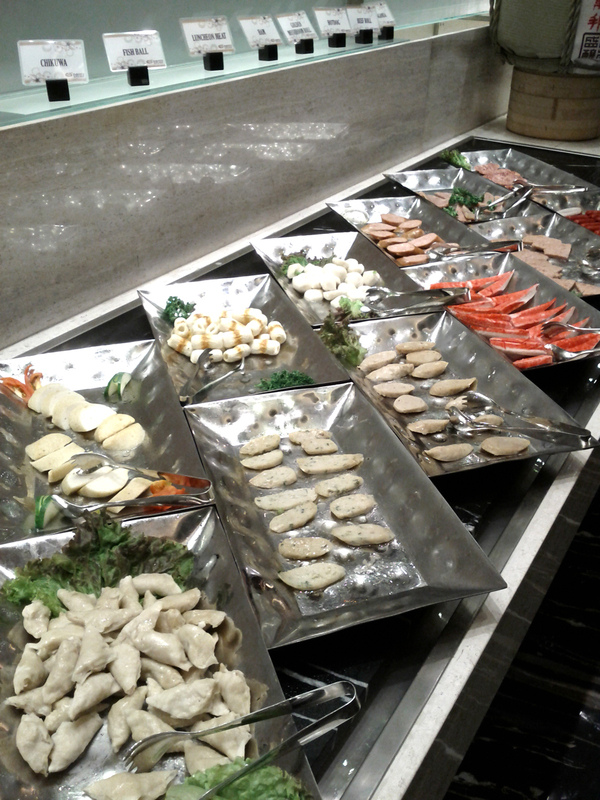 Grill selection 01: kikiam, fishball, fish cakes, lobster cakes etc. 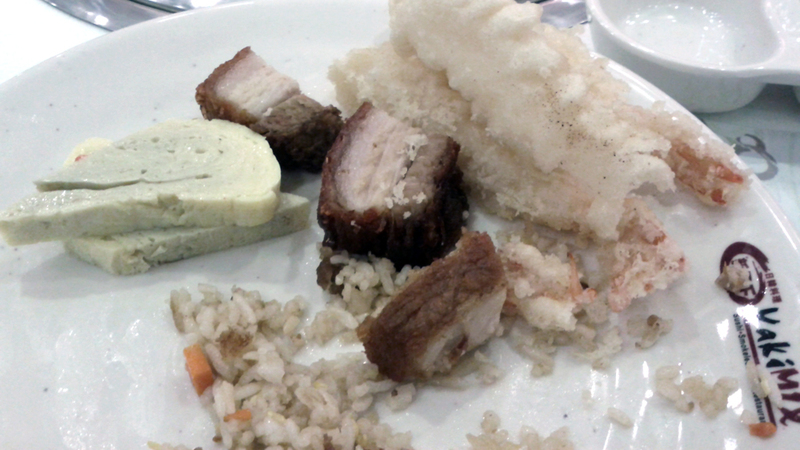 I wasn’t able to take a picture of the grilled items on my plate, but I was able to try almost all of them. 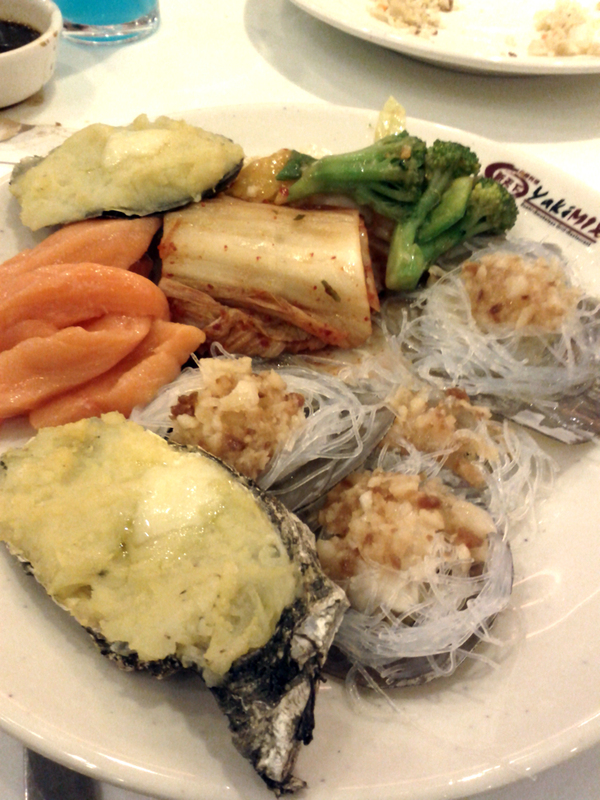 Yakimix is good at this so it was not surprising that what they had were plentiful and of good quality. 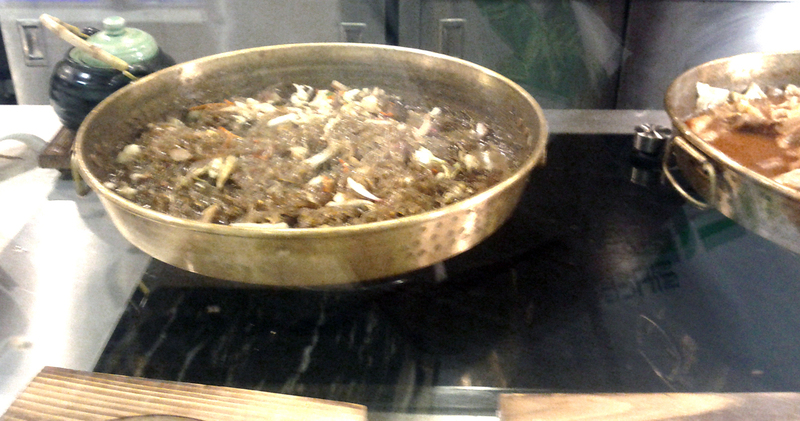 They had sauces and seasoning as well from satay to korean dressings, everything you need to make it as tasty as you want it to be. 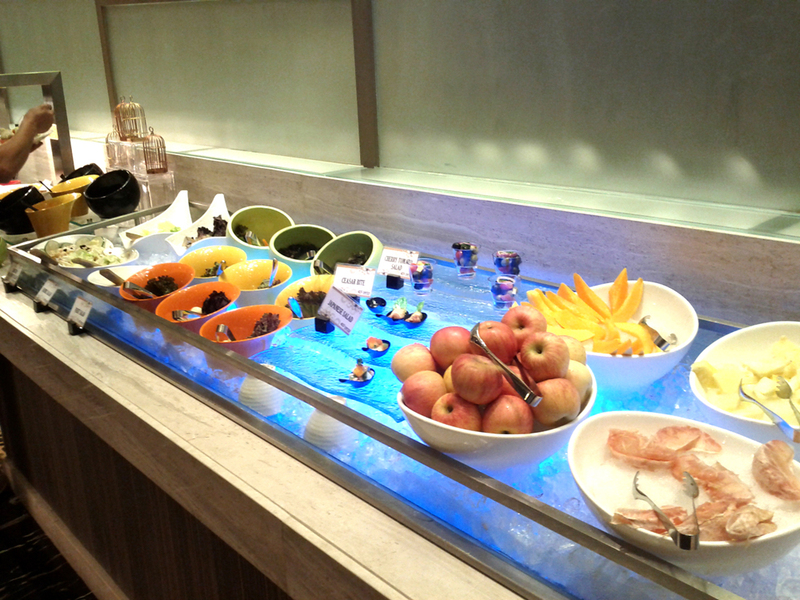 Nice and varied fruits and vegetable selection, did not try this as there were a lot more that I wanted. But it looked good and there were several choices for everyone to decide on. 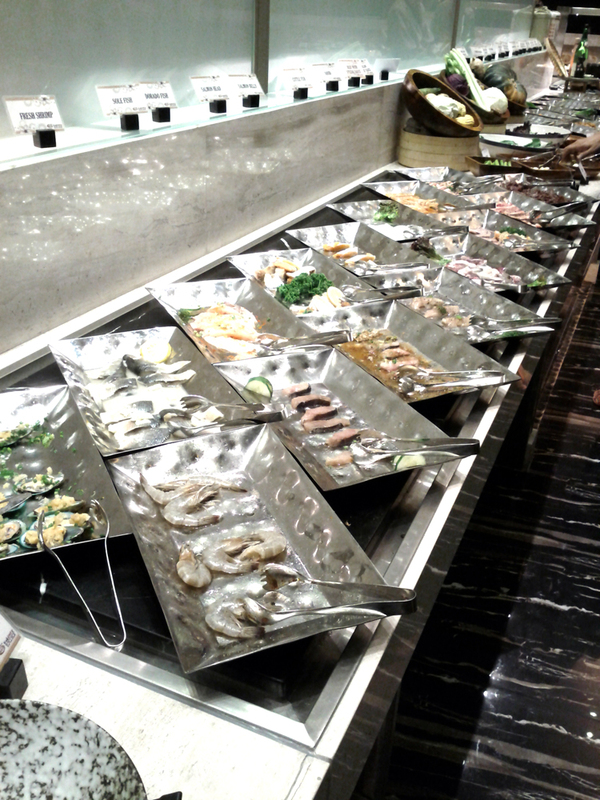 The Japanese selection was full of variety, I went back again and again for the Sashimi. 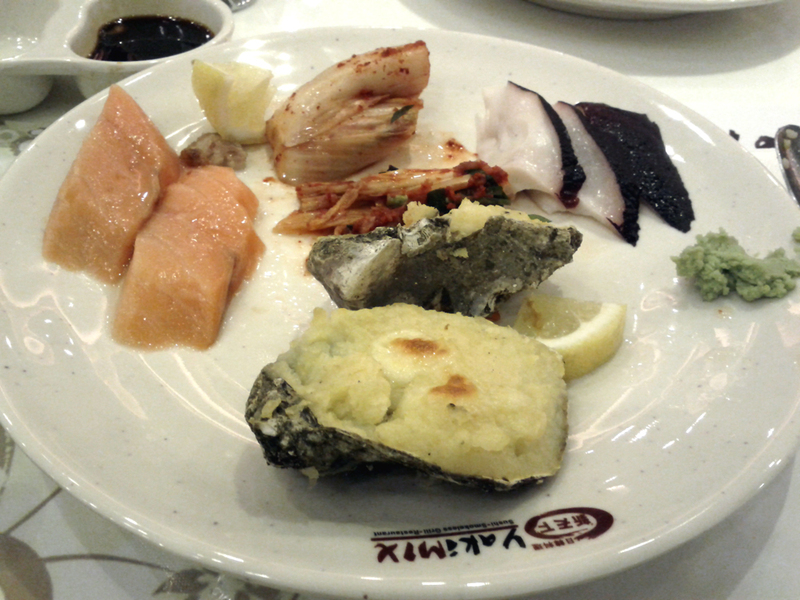 The choices were fresh and bountiful, the Tamago sashimi and the octopus were great, I also try the octopus in buffets, as I’ve been endeared to the particular taste it offers. I asked though if they have Uni and sadly it was not offered, but again there were a lot of things to choose from. Special mention: this was really good, came back three times. 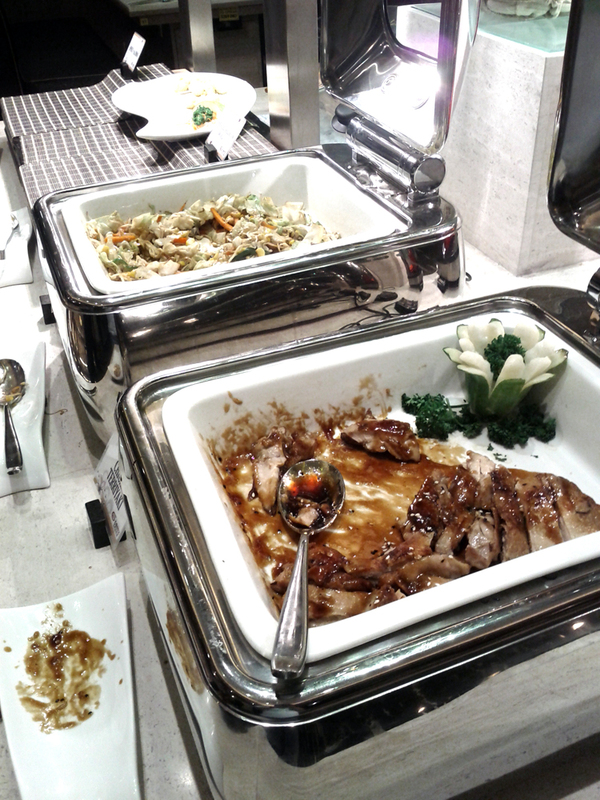 The lechon kawali was good but it wasn’t extraordinary. If you want your Filipino fix they have some being offered. 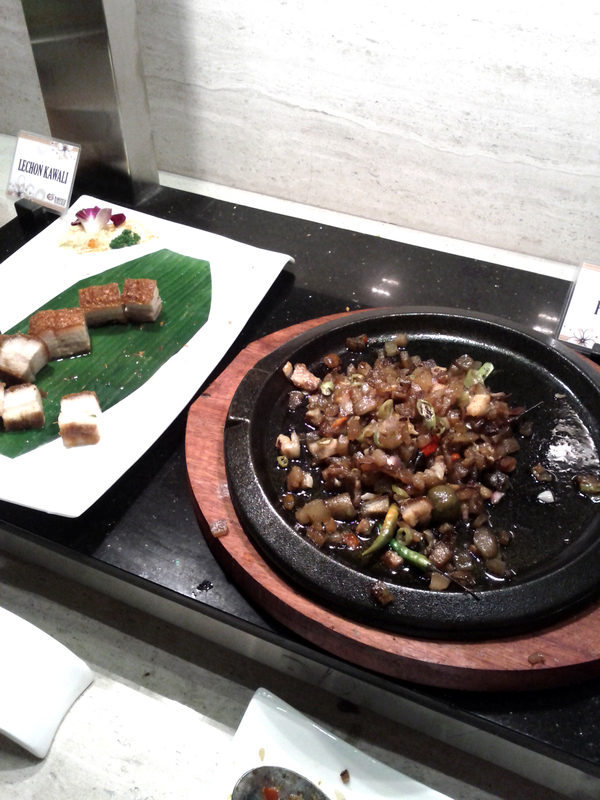 I just wasn’t able to take pictures of the other dishes. As I was unable to take pictures of all the stations, believe there were A LOT, just take a look at what I had on my plate and sample visually what Yakimix has to offer. 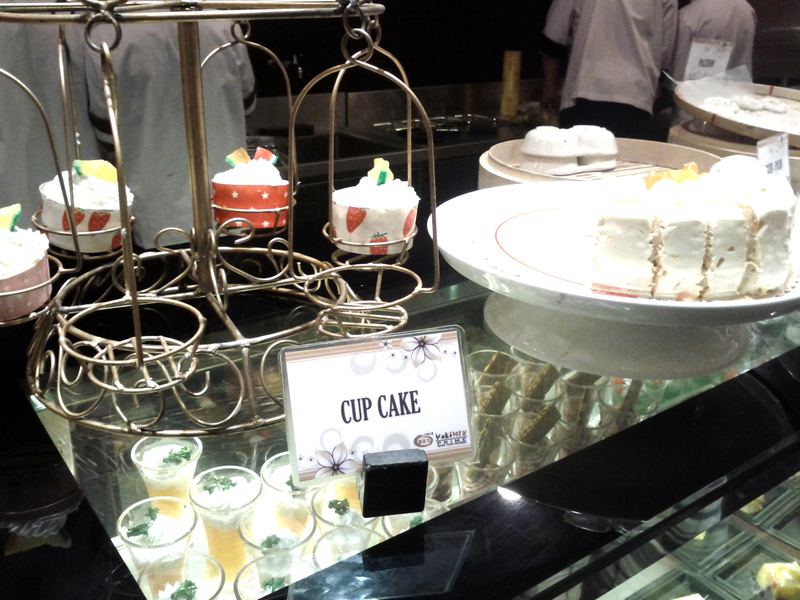 They have a dimsum station as well, pizza and pasta, and the other mains were near the dessert station, crab was also offered as well as oysters, was busy eating them so no pictures as well. Plus, with two kids that we had to watch over this was a foodie amazing race that was a challenge to traverse. 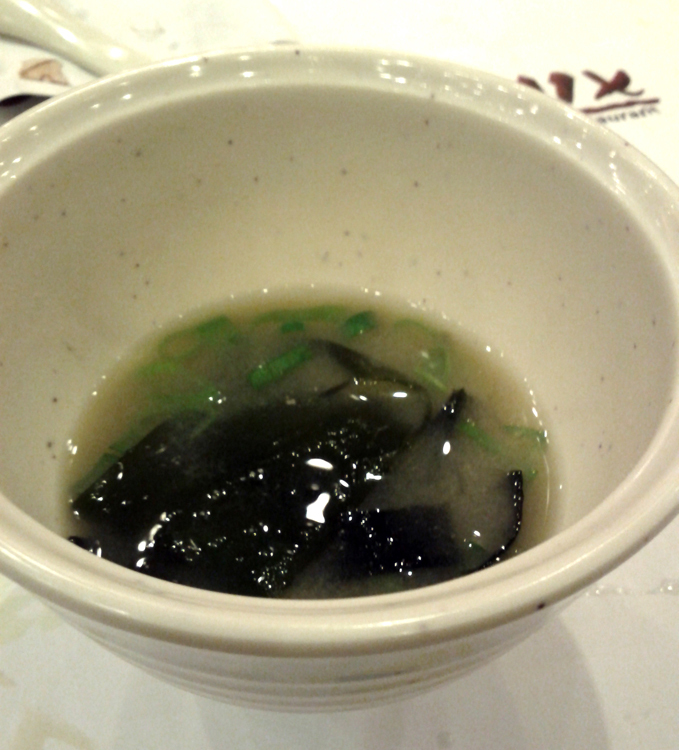 The tempura was good, although some had really small shrimps they were still consistently good and not too oily. The oysters were immaculate and the scallops should not be missed. 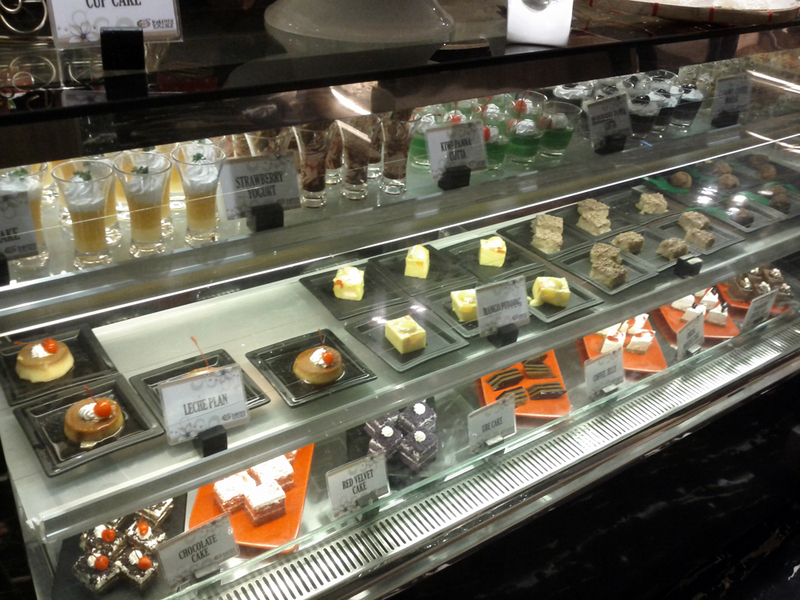 For the desserts, so many choices were spread out. 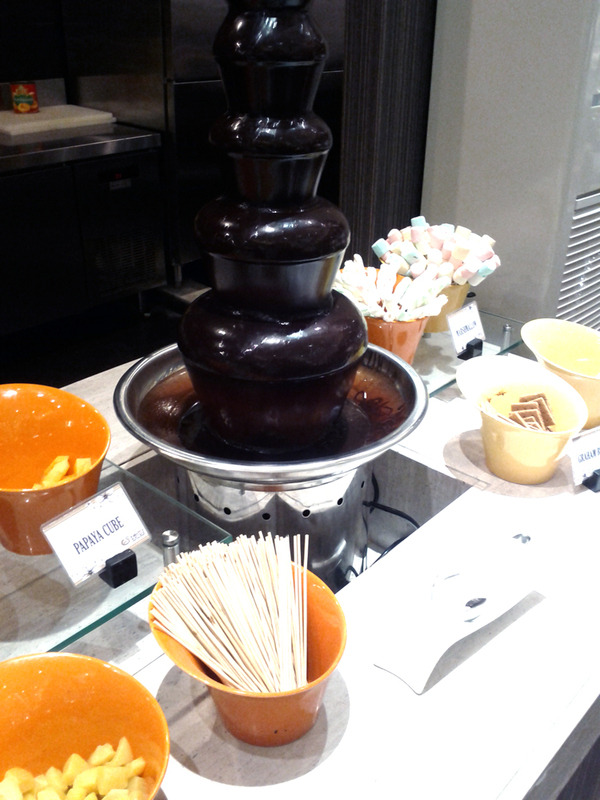 They had cakes and confections, halo-halo, an ice cream bar, a candy bar and a chocolate fountain. 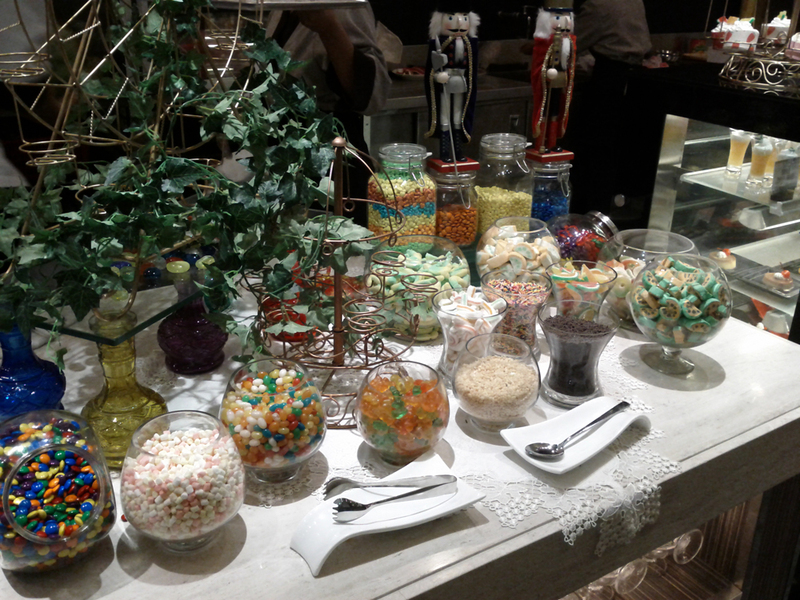 This was where my little girl spent most of her time, with the gummy candies and the chocolate sprinkles. It was a joy to see her enjoy and eat the delectable selections on hand, I have to say there were some improvements on the dessert menu especially those on the dessert cups. 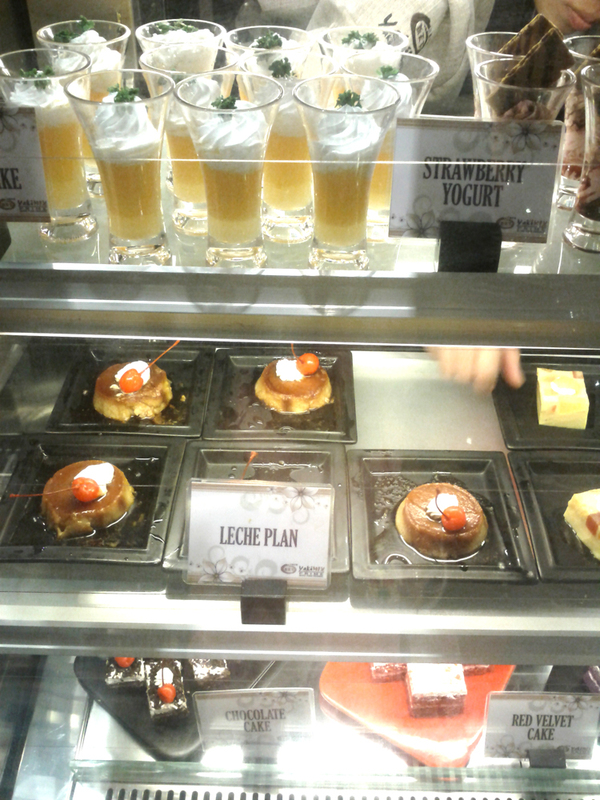 I especially liked the strawberry yoghurt mousse, if I remember correctly. I was a happy trooper, the food was good and the place was nice. They were on soft opening but there weren’t any glitches or hitches with the operations and everything was smooth as it could be. 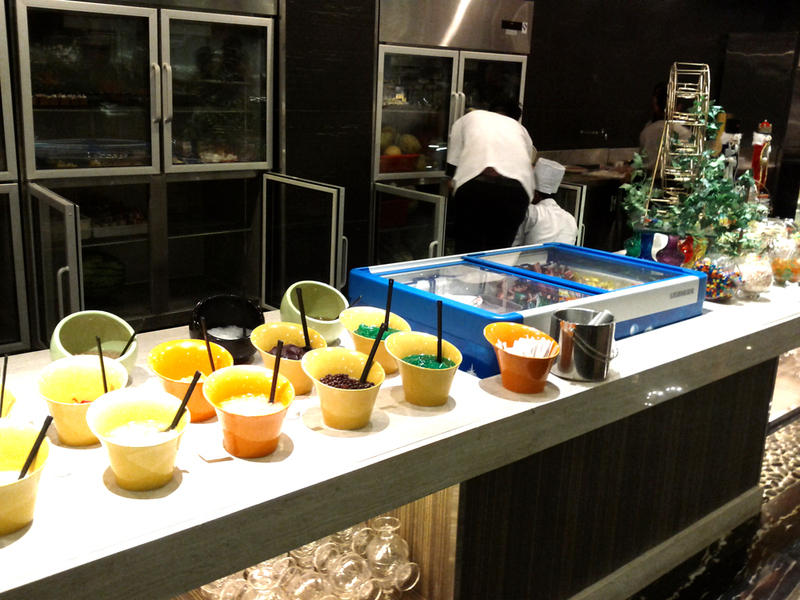 The choices were varied and you will really enjoy the offerings that they have. Aside from the fact that it is a bit cramped, the interiors were welcoming and the spread was carefully thought out. With the bustling food scene at BGC, this is one addition that we shall be truly enjoying for the months and years to come. Visit the place and spend quality time with your family over their good food, you won’t be disappointed. Plus, it isn’t that expensive. 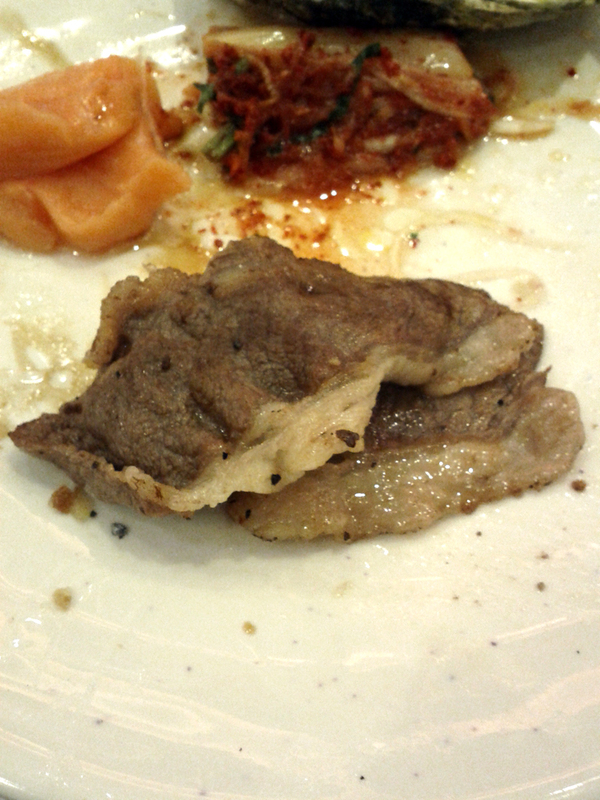 This entry was posted in Asian Dishes, BGC, Buffet, Desserts, Filipino, Japanese, Taguig and tagged asian, BGC, buffet, filipino, korean, sashimi, SM Mall of Asia buffet, tempura, yum by manilafoodblog. Bookmark the permalink. Dinner it is then, just to be sure! 😀 But we will also ask them if the unlimited Wagyu beef livens up their lunch fare as well. 🙂 Thanks! Informative and objective. “The up and coming P.I. Yelp !! !” I am spending 4 weeks in the P.I. and intend to take out family and friends. “TripAdvisor” and the other sites were no help AT ALL. 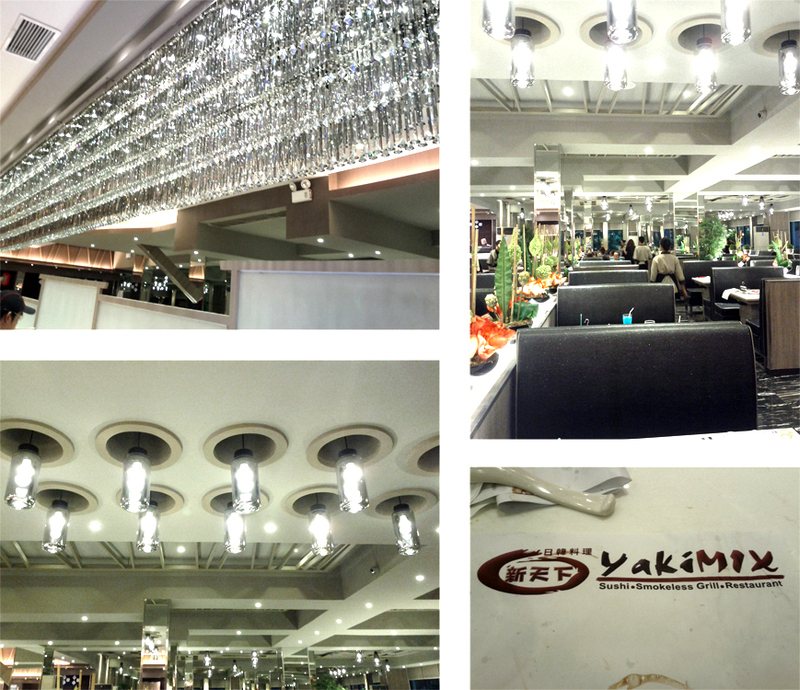 How much is the price for a sunday lunch in yakimix, BGC taguig right now?